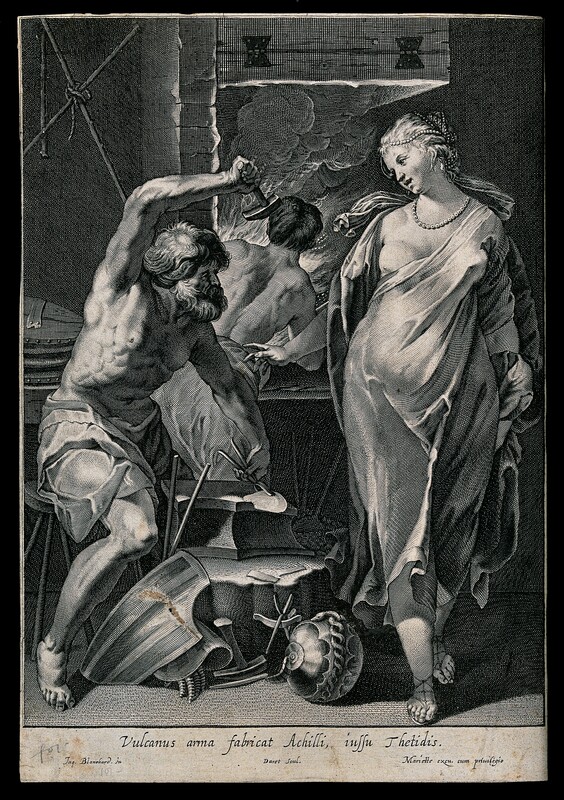 Vulcan hammering metal at his forge, overseen by Thetis in a flowing robe and pearls in her hair. Engraving by Pierre Daret de Cazeneuve, ca. 1663-1678, after an image by Jacques Blanchard.